People love her; many mainstream journalists loathe her. With a few notable exceptions, Canadian media commentators and book reviewers trashed Naomi Klein and her new book, The Shock Doctrine: The Rise of Disaster Capitalism (Knopf Canada, $36.95). Meanwhile, the book continues to do well on the bestseller lists, ranking close behind Brian Mulroney’s reminiscences, which received hardly a critical word from the same media outlets. The libertarian brotherhood that populates Canadian newsrooms was up in arms over Klein’s treatment of their grand ayatollah, Milton Friedman. Klein claims–rightly–that Friedman is responsible for advising capitalists to profit from disasters and human misery. Many libertarians–haters of government and defenders of corporations (although they shouldn’t be, if they are true libertarians)–made their way into corporate newsrooms thanks to Conrad Black, who controlled most daily newspapers in Canada in the ’90s. The National Post , Black’s vehicle for creating a more conservative Canada, probably has more libertarians per square metre than any other newspaper in the country. Each day, for four days in September, the Post ran an excerpt from Klein’s book and paired it with an attack column. By buying excerpts from the book, Ian Austen argued in the New York Times on September 24, the Post was putting money in her pocket “for the privilege of knocking her down”. In Corcoran’s ideologically blinkered world, Klein’s crime was that she portrayed Friedman “as a crass exploiter of the victims of Hurricane Katrina” when, in fact, he is “the great free-market economist”. In the first excerpt, Klein recounted that Friedman wrote an op-ed in the Wall Street Journal three months after Hurricane Katrina, calling for radical reform of the New Orleans education system. Shut down the public schools. Don’t spend a dime on them. Instead, provide families with vouchers they can spend at private schools. Friedman has peddled school vouchers since 1962. Success was slow and halting until his moment came in Chile under the brutal dictatorship of Augusto Pinochet. In one of its sweeping “reforms”, the Pinochet regime opened up the school system to vouchers and private schools. Twenty years later, one researcher concluded that vouchers didn’t lead to better results at public schools in Chile. Instead, they encouraged pupils with better-educated (and higher-income) parents to move from public to private schools. Corcoran’s main point is that the new, privately run schools opened “at a record clip”, much faster than would have occurred under the “union-controlled state monopolies”. How this happened, he didn’t say. After Katrina, the privatizers conspired to crush the teachers’ union, fire all school employees, establish a system of charter schools, and lobby the Bush administration for $488 million to help families place their children in the new private schools. Why wouldn’t private entrepreneurs and religious organizations line up for the handouts? Finally, it was the turn of Robert Fulford. He admonished Klein for “sternly shaking her finger like a schoolteacher handing out bad marks”, but it was Fulford who was the schoolteacher, grading an errant student’s work. “Little sense of style,” he harrumphed. Her work was filled with “self-contradictions and wild overstatements”, he tsked. “For her, hyperbole is not a literary device, it’s a way of life.” Hmmm. Unfair comment? She seems to believe, he opined, that “if she moves fast enough, few will notice the flaws in her thinking.” Fulford must have been one of the few who were able to notice the flaws. He ended with a zinger: “Her rule: When facts conflict with theory, change the subject.” It sounded bad, but what did it mean? Other papers followed the Post ‘s lead. For its reviewer, the Winnipeg Free Press went to the Winnipeg-based libertarian Frontier Centre for Public Policy. This reviewer, unsurprisingly, found the book “exasperating”, filled with hyperbole, anticapitalist polemic, and overheated rhetoric. Some well-known media libertarians haven’t yet attacked Klein’s book, but they’ve gone after her in the past. When the Post ‘s Lorne Gunter, an Alberta Report graduate, wrote a column celebrating the Fraser Institute’s 30th anniversary, he worried that Klein or Maude Barlow would “enter the room with a bulky package strapped on under a puffy coat”. Does he think they’re terrorists? The attacks in the National Post and the Winnipeg Free Press were at least ideologically motivated–the ranting of libertarian foot soldiers springing to the defence of their hero. In the Globe and Mail ‘s book section, the attack, in contrast, was a mean-spirited vendetta. Todd Gitlin is a professor of journalism at Columbia University. He’s no libertarian. In the 1960s, he was president of the radical organization Students for a Democratic Society. In 1980, he wrote The Whole World Is Watching , a trenchant critique of mainstream news media. In 2003, Klein reviewed Gitlin’s book Letters to an Activist . She claimed that the tenured professor had lost connection with his activist past. The aging academic apparently didn’t take kindly to being criticized by the youngish radical, who didn’t even finish university. His payback, though, fell flat. The best Gitlin could summon up was that Klein was guilty of “tendentiousness”. Huh? He uses the four-syllable word three times in his review, so it must be important. Klein was tendentious in her review of his book; tendentiousness has contaminated the value of her work; and her tendentiousness is of two sorts: sins of omission and of commission. And this is a problem? Isn’t that why people read her work, because she has a strong point of view and expresses it compellingly? Perhaps the Globe ‘s books editor sought a reviewer who would turn the knife, and not one who was an expert on the subject. Curiously, though, when it came time to review a book written by well-known libertarian conservative Tom Flanagan, the Globe assigned the review to a kindred conservative, one who would, almost predictably, like the book. 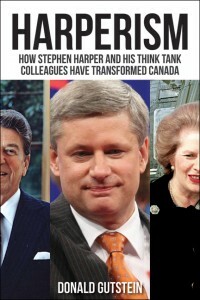 And for the review of Mulroney’s new book, the editor selected a reviewer who had already written a flattering book about Stephen Harper. There were exceptions to the negative reviews, and these were found in expected and unexpected places. The still-liberal Toronto Star published an evenhanded, lucid account of Klein’s thesis by James Grainger. And here at the Georgia Straight , Brian Lynch provided an extended interview that told Klein’s story largely in her own words. Readers of the Vancouver Sun also received a more positive review of Klein’s work than was found in the national papers. The Sun has a legion of libertarians and corporate apologists to draw from, but the books editor went outside the organization to assign the review to UBC’s Michael Byers. Byers is clearly on Klein’s side of the political spectrum but told her story straight, without invective either for Klein or against capitalism. As the Sun , the Star , and a few other exceptions indicate, the mainstream, corporate-owned media in Canada have not entirely shut the door on opinions that vary with those held by the libertarian brethren. But it’s getting constantly more difficult for progressive and divergent viewpoints to be disseminated. And that’s a blow to a democratic society, which requires a diversity of viewpoints to survive. ← The United States: A Leader in World Peace?